We are a local Clarksville, Tennessee florist that features exquisite floral designs and gift ideas to flatter any style or budget needs. If you don't see something that catches your eye, give us a call (931) 645-1935. We'll do our best to create something that you'll love to best fit the occasion. 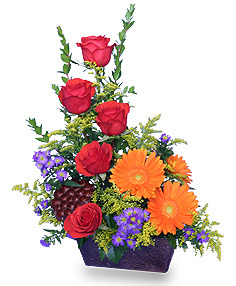 "We don't just create bouquets ~ We create emotions!" Our knowledgeable staff is ready to assist you with placing your local delivery or anywhere in the world.